In my opinion. 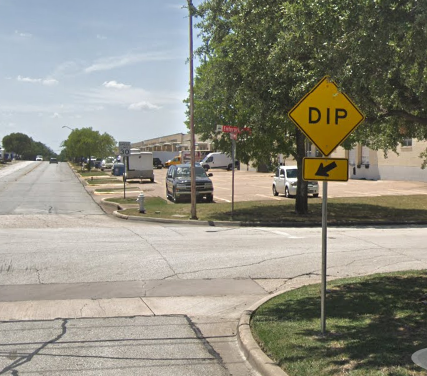 DIP and BUMP signs should be required to use the AHEAD/ [DOWN ARROW] plaques because the current sign is too ambiguous as to the location of the condition. BUMP and DIP signs are sometimes placed in advance of the condition, and sometimes right at it, with no consistency. I see [AHEAD] used for roundabouts somewhat frequently. [Ahead] is fairly common in Illinois prior to pedestrian/trail crossings. Example on Kirk Road in Kane County. IIRC Nebraska has done 'Bump Ahead' (one sign) and a Bump sign with the downward diagonal arrow in construction zones.